What Are The Rules to A-7 5 Card Draw? - Casino Answers! 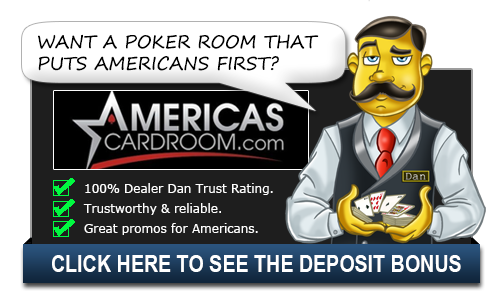 Casino Answers » Poker » Draw Poker » What Are The Rules to A-7 5 Card Draw? A-7 5 Card Draw is a poker game variation that is only available on the Boss Network, thus you can only play it at poker rooms such as Fortune Poker. We at Casino Answers have outlined the structure of the game and explained exactly how the game works, so you can easily start playing this exciting game of poker. DECK: Cards 2, 3, 4, 5 and 6 have been removed. The deck contains cards from 7 to Ace. If there are five active players at the start of the hand the 6’s should also be in the deck. BUTTON AND BLINDS: The game is played with a dealer button, a small blind and a big blind just like Texas Hold’em. The player to the left of the dealer posts a small blind and the player to the left of the small blind posts a big blind before the cards are dealt. SHOWDOWN: The winner of the hand is the player who holds the highest hand according to universal poker hand rankings. Ace can also be used as the lowest card in a straight, i.e. A-7-8-9-10 (A-6-7-8-9 in case of the 6’s being used). If the 10 high straight is suited with an ace as the lowest card, it qualifies as a straight flush. This also applies to the 9 high suited straight in case of the 6’s being used. Blinds: Because we have a player “on the button” we now ask two players to post the large and small blinds. The purpose of the blinds is to put forced money into the pot that gives players an incentive to enter the hand. However, only two players will post the blinds. The first blind is called the “small blind”. This bet is usually half the minimum bet of the game, although in some games, the fraction is slightly different. So, in a $2-4 game the small blind will be $1. The second blind is called the “big blind” and is always the same size as the game’s minimum bet, e.g., in a $2-4 game, the big blind is $2. The player directly to the left of the button will have the “small blind.” The player directly to the left of the small blind will have the “large blind” of the full amount or the lowest game limit. Now that we have a Button and small and big blinds, we are ready to deal. The dealer always deals from the player closest to the dealer’s left. Moving clockwise around the table, the game will “deal-in” each player. The players will be dealt five cards face down. A round of betting will occur starting with the player seated to the left of the big blind. Betting on Opening Deal: The player seated to the left of the big blind will always have the action on the opening deal. This player may not check, but rather can only fold, call, or raise. The game will now advance to each player seated asking to fold, call, or raise until we reach the big blind for an action decision. If no one has raised by the time the play comes back around to the big blind, the big blind has the option to “check” his own BLIND wager or raise. Once all players have completed the first round of wagering, they will proceed to discarding cards and drawing new cards. The determination of which players’ cards will and must be shown first will lie with the player who had initiated the action or with the person who had initiated the last bet, raise or re-raise. This simply means that whoever had the last action must show his/her cards first. 1. If the new player is seated to the left of the blind, then he/she may choose to “post” the big blind or “wait.” If the player does post, then his/her wager is active. Missed small blind. If a player misses the small blind for any reason, then that player may not play in any hands until the small blind is made up. The game will place an “MS” button in that seat to declare the missed small blind. The game will ask the next active player to the left of the big blind to post a big blind for the hand as well. The original big blind player will “catch a break” and get the button on the next hand. The player who had missed the small blind cannot return until after the button has passed. If the missed player returns to the game before the big blind comes back to his/her seat, the player is required make up the small blind. The small blind is dead and must be put into the pot before the hand is dealt. However, a player may avoid posting dead by waiting for the big blind to arrive at his/her seat naturally. Online Availability: Available only on the Boss Network, the best site to play is Fortune Poker. Which poker rooms can I play A-7 5 Card Draw at? You can find A-7 Card Draw at exclusively at Boss Casinos such as the excellent Fortune Poker. Can American players play A-7 5 Card Draw? Unfortunately, USA players cannot play A-7 5 Card Draw at this time. Instead, we suggest you try playing at Cake Poker.